This is a good cereal but it doesn't deliver on the chocolate flavor the box seems to promise. 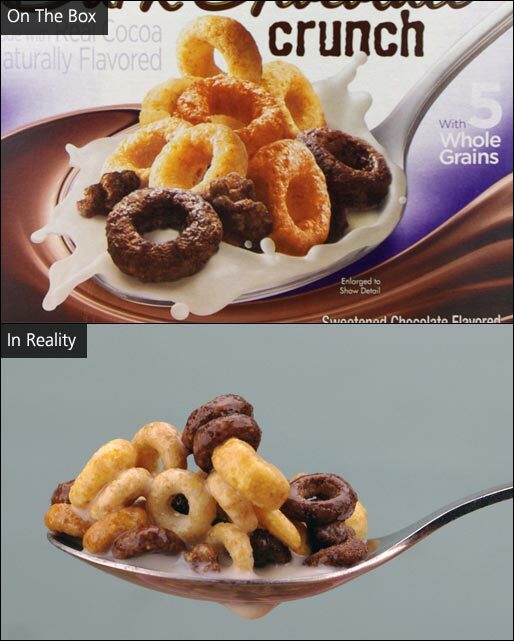 This brand of Cheerios introduces a new element... tiny, crunchy, chocolate clusters. They add a nice crunch to the cereal, but there's very few of them and it's common to get spoonfuls that don't have any. I'd describe the chocolate flavor in this cereal as a subtle whisper of chocolate. More than anything, it tastes like regular Multi Bran Cheerios with a bit more sweetness. This cereal doesn't offer much more crunch than other Cheerios varieties except for the occasional spoonfuls with the cluster pieces. Overall, I liked this cereal but that may be because I like Cheerios and haven't had them in while. 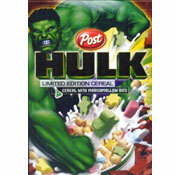 The promise of a bold new flavor goes unfulfilled, but this is still a tasty cereal. Lovers of chocolate might be disappointed. Lovers of Cheerios will probably enjoy it. Nutritional Considerations: Each 3/4 cup serving has 110 calories, 1.5 grams total fat (0.5 grams saturates and 0 trans), 0mg cholesterol, 125mg sodium, 23 grams total carbs, 2 grams dietary fiber, 9 grams sugar and 2 grams protein. 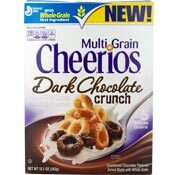 What do you think of Dark Chocolate Crunch Cheerios?